The internal ’grip spikes’ that give the Gripmesh Feeder its name are different lengths so these excellent feeders really do hold bait very well. They are ideal for soft or semi-dry groundbait mixes, dampened pellets, expander pellets, cubed meat, liquidised bread, crushed hemp and even chopped worm if you get the consistency right! They are equally effective on rivers and Stillwaters and can be fished either on a running line, within a fixed loop or locked with Grippa Stops. 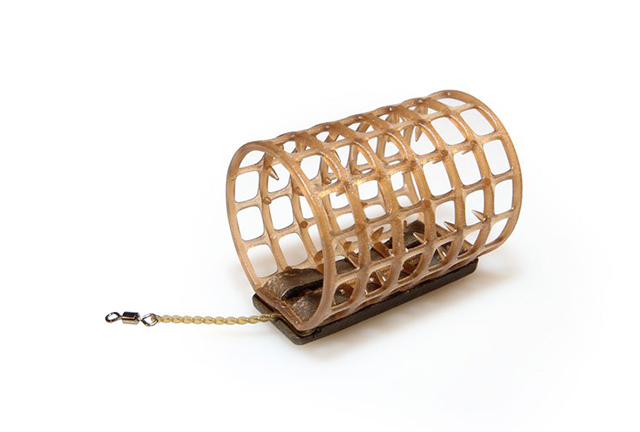 Gripmesh Feeders are moulded in a tough, durable, nylon polymer with an unobtrusive camo brown tint. All four sizes are attached by a swivel and flexible power gum boom, which has just enough stretch to cushion the cast and is virtually tangle free.